Patios Plus is a family owned business serving the St. Louis, Mo. area and surrounding counties. We put our customers first by offering you prices that can't be beat, professional service and quality workmanship. Let us help you design and build your dream patio, deck or sunroom. Hi, I'm Josh, the owner of Patios Plus. I have been in construction for 20 years, most of that time spent working for others. I have witnessed the "business" mindset and have been criticized for my opinion and unwavering belief that the best business is to put ourselves in our customers shoes. To see things from the customers point of view and really listen and understand the customers' vision. My number one goal is customer service and I refuse to provide you less than exceptional. I'm not just the owner, I also work in the field as an installer, because I started this not to be a salesman, but to be able to do what I love without compromising my values and beliefs. My promise to you: To listen, To educate, To communicate, To be honest and fair, To go above and beyond. 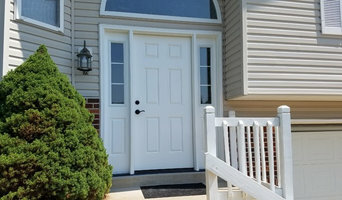 Berry Door & Window features an extensive product line of garage doors, entry doors, interior doors, storm doors, patio doors and windows. We strive to provide you with superior service. At Custom Curtains Plus we provide a complete line of custom home decor items. We bring a wide array of fine fabrics, hardware, and other decor essentials to your home in order to satisfy your decorating dreams. We are able to provide a full line of custom home decor such as custom furniture, roman shades, woven shades, blinds, draperies, valances, bedspreads, duvets, pillows, cushions and so much more. We can take your decorating dreams from the design stage, through the fabrication phase and finally to the installation. Contact us today and let us show you how we can create that unique look to your living spaces. 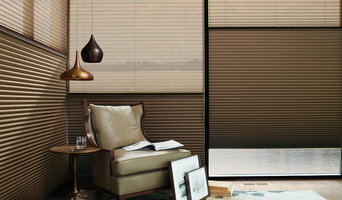 *Hunter Douglas Authorized Dealer* Running a business as a father and daughter team has had its challenges. Phil's background is in training sales people for the insurance industry, so he KNOWS what a good sales person is supposed to be. In contrast, Amy has been a "stay-at-home" mom for eighteen years, raising four children. She knew nothing about running a business, nor selling strategies and techniques. What Amy DID know was how to talk to people, simply because she likes them. Phil's selling techniques and Amy's style of selling were as far apart as you could possibly get and still be in the same universe! At first, Phil tried to "fix" Amy's approach to selling. What Phil could not figure out, and still can't explain to this day is this: while Amy's style did not fit the mold for a "good salesperson," almost every consultation she went on turned into a sale! One morning while thinking about Amy's selling style, this Mark Twain quote came to Phil's mind: "if it ain't broke, don't fix it!" So Phil gave up on trying to "fix" Amy's way of dealing with people on sales calls. He realized that her honest, happy approach and her genuine concern for people was not something you could "teach" someone. 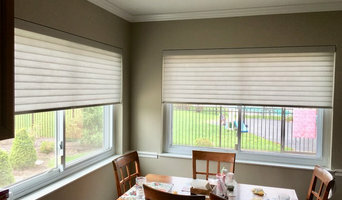 --- The Bottom Line --- We know you can buy the same blinds, shades or shutters from an lot of other companies, but you get something more with Phil and Amy ... something you CAN'T get from most other businesses: a family owned and operated business that cares about your home and you as a person. They care about spending as much time as it takes to get you exactly what you want to make your home look beautiful! Phil and Amy accomplish this at a fair price and in a timely manner. They want you to be a client for life. They want you to be so thrilled with their products and service that you will go out of your way to tell others about Cardinal Blinds & Shutters! 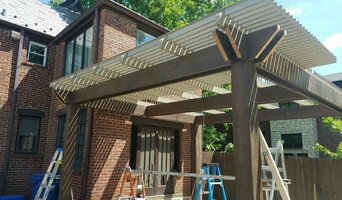 Deck & Patio Living specializes in sourcing and installing products to enhance outdoor living in Greater St. Louis and surrounding communities. Make the most out of your deck or patio space with under deck ceilings, retractable awnings, louvered roofs, outdoor kitchens, paver patios, solar screens, and so much more! Berry Door & Window features an extensive product line of garage doors, entry doors, interior doors, storm doors, patio doors and windows. Our garage door service department is there for you when you garage door stops working. The company also remains family-owned under Matt Zehner and continues its original vision of offering St. Louis and the surrounding area products of higher quality. At Berry Door and Window our main goal is to create the greatest level of customer satisfaction. We strive to provide you with superior service, the highest quality products and limitless customization options. Allow us provide you with the happiness and quality that our customers have come to expect. Interior Decorating, Outdoor Living Design, Construction & Decor all driven by a highly personalized design centered around wellbeing.